*All offers to well qualified customers with approved credit through Southeast Toyota Financial Services with $0 security deposit. 36 month lease examples based on New 2019 Toyota Yaris Auto #6262 MSRP $18,213 with 12000 miles per year. Includes all qualifying lease cash and incentives including owner loyalty if applicable. ALL lease offers plus $899 dealer fee, $795 bank acquisition fee, $498 electronic title, tax, tag, first payment. $149 lease requires additional down payment of $1,999. **$0 down payment lease option monthly payment $209 available with approved credit. See dealer for complete details. Promotional offers expire April 30, 2019. After a simple name change from Yaris iA to Yaris, the new Yaris has taken on a breathe of life with new sportier design, new technologies, new safety features, and new performance and fuel efficiency. New Name. Same Great Yaris. The New 2019 Toyota Yaris is powered by a 1.5 Liter 4-Cylinder efficient engine that allows the Yaris to get a EPA-estimated combined 35 MPG. When driving the available XLE model, you’ll benefit from the available sport mode which tunes throttle response and reacts a thrilling driving experience. 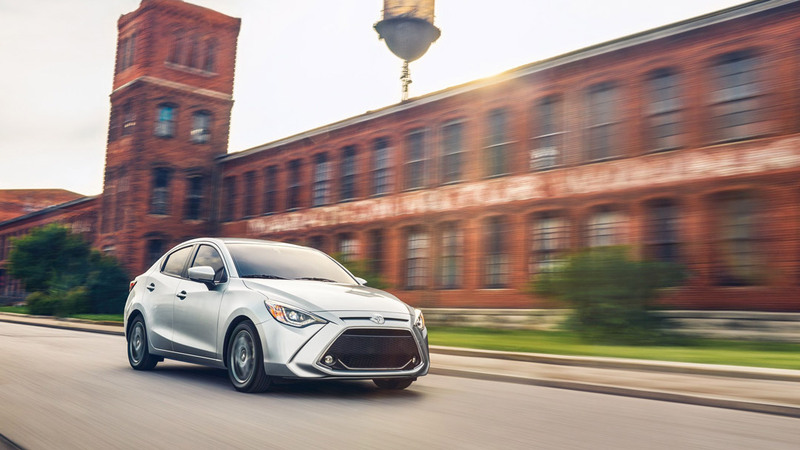 The 2019 Yaris features phenomenal fuel efficiency and a nimble ride at a fantastic price point. With a standard 7-in. 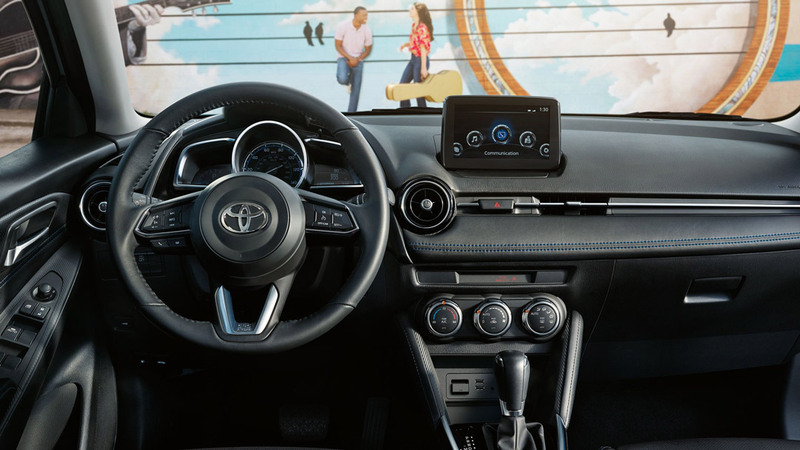 touch-screen multimedia system, available smart key system with push button start, standard satellite radio and auto climate control the 2019 Yaris is ahead of its class when it comes to standard and available technology. Opting for the XLE trim will also include Leatherette sport front bucket seats and a leather-trimmed steering wheel. For the drivers that look for a more raw driving experience the Yaris has an optional manual 6-speed transmission with short throws for quick, smooth gear changes. 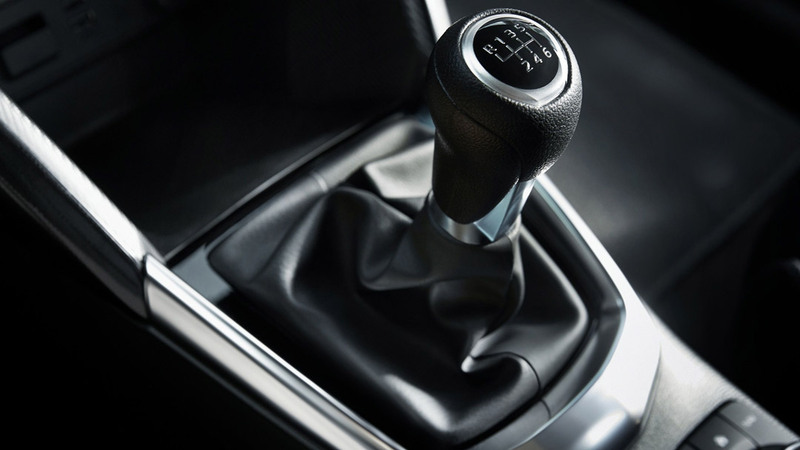 Opting for a manual provides quicker gear changes, the ability to push the engine higher into the RPMs, and also even improve fuel efficiency if driving conservatively. The 2019 Toyota Yaris comes standard with Low-Speed Pre-Collision System that scans the road for potential collisions and even activates braking assist if the driver does not respond manually. You also have Active Safety System with Dynamic Stability Control, Traction Control, Brake Assist, ABS, and Break Override System. 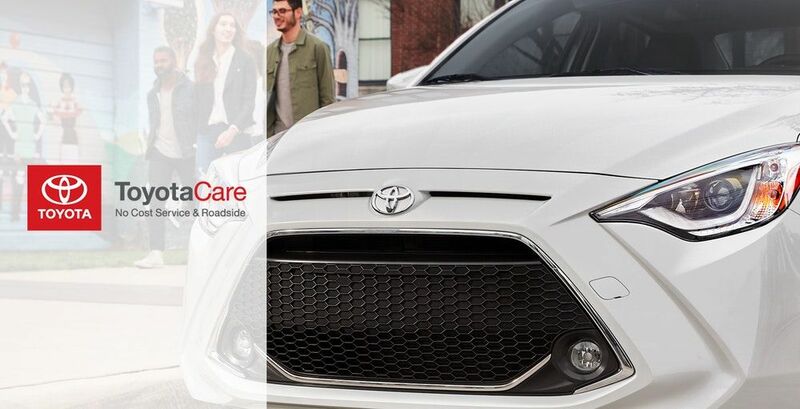 Plus standard ToyotaCare gives you a no cost maintenance plan for 2 years or 25,000 miles, whichever comes first. You also have access to an optional Rain-sensing windshield wipers on the Yaris XLE. All in all the 2019 Yaris is a very safe car to drive.